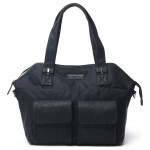 Ponder fuses the essentials of a camera bag with the demands of the female photographer, to create a versatile and stylish choice for women who are always on the move. Constructed to carry your equipment with ease, this quality nylon bag holds a DSLR and up to two 10” lenses, as well as an iPad or Macbook up to 15”. 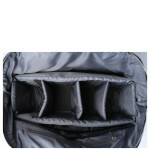 Numerous pockets make organising your personal items easy, with sturdy handles for travel. Constructed from high quality nylon, this contemporary camera bag is both stylish and low maintenance, with water resistant properties. The classic adjustable Kelly Moore basket includes 3 dividers to create up to four sections for your camera and lenses, cushioned to protect your equipment. Stay organised at all times; slot your iPad or Macbook in the laptop pouch, and use the interior envelope pockets and front pouches for personal items. 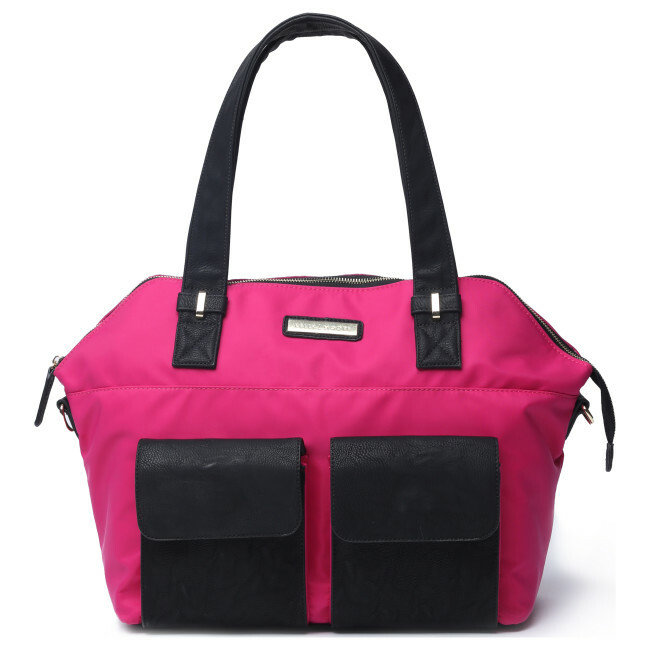 Carry as a handbag using the drop straps or attach the messenger strap when you’ve got your arms full; this lightweight bag is perfect for long days and travel. Store your cards, cash and memory cards safely in the zipped Posey Pocket on the back of the bag, to keep those small but important items secure. 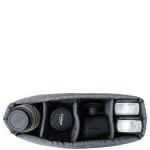 Ponder is a medium-sized camera bag that has ample space for your daily essentials. A multi-functional handbag for female photographers, the stylish but resilient nylon design makes it a reliable companion for any occasion. With adjustable, detachable inserts, the removable basket can be customised to fit a pro camera body or standard body and grip, or a camera body with lens attached. Accommodating lenses of up to 10”, the spacious interior also has a pouch for a 13” laptop or tablet. However larger laptops of 15” can slot between the basket and sleeve, making this a high performance bag for any photographer, with fast zip closure for easy access. The interior also includes a zipped pocket and several clear and opaque envelope pouches for your keys, phone and accessories, with a further two pockets on the front and an organiser pocket to the rear. 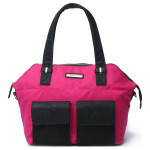 Carry as a handbag or attach the longer body strap, and blend into the crowds with this subtle but smart camera bag. 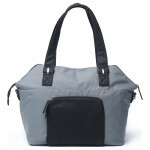 This low maintenance bag is robust and hard-wearing, made from high quality, water-resistant nylon and durable hardware. To clean your bag, use a sponge or cloth to gently wipe away dirt with warm water and mild detergent. Kelly Moore is a mum and photographer who began making handbags when she struggled to find an all-in-one solution for her personal and professional life. Designing multi-functional camera bags with an emphasis on quality and style, her customisable bags are made to mould around the lifestyle of their owners. 2 x spaces on either side of the basket to store iPad, notebooks, magazines, etc.